DogStar Activity Center classes are taught by instructors who share their 50+ years of experience in dog training and competition. 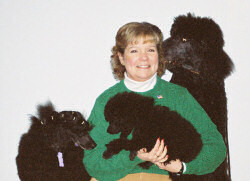 Julie has been a professional dog trainer since 1988. 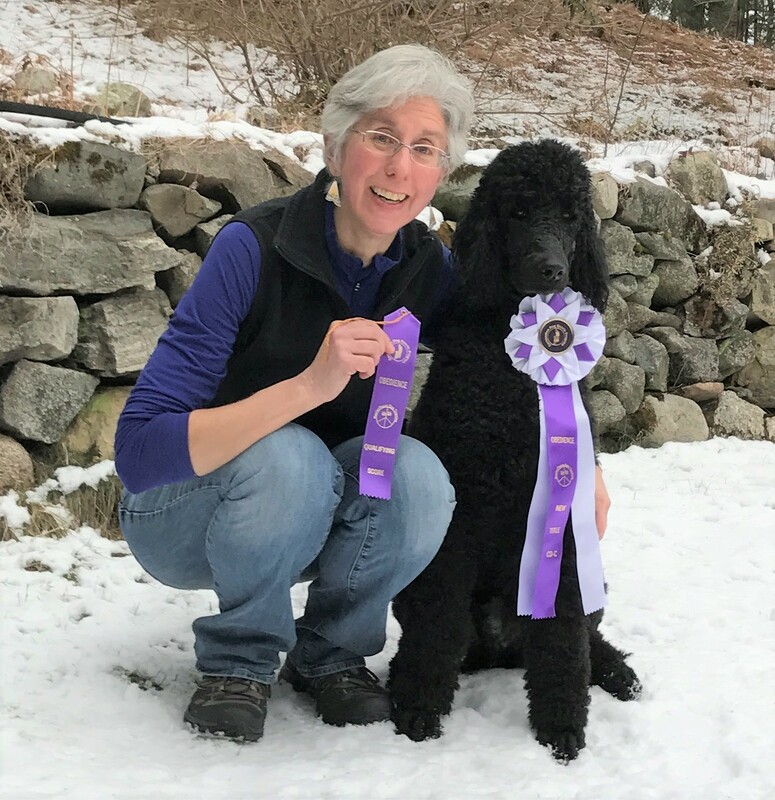 She holds a professional membership in the APDT (Association of Pet Dog Trainers) and was among the group to take the first ever APDT Certification Exam for dog trainers, earning her the CPDT title. Julie and her husband have been breeding and exhibiting Miniature and Standard Poodles under the kennel name Rembrandt since 1983, producing 45+ breed champions, including nationally ranked All-Breed and Specialty Best in Show Winners, many obedience, agility, and rally titleholders, and the first Poodle in the U.S. to achieve both MACH and ADCH agility titles. Julie is currently competing in conformation, obedience, rally, agility, and doing Therapy Dog work. She also works with MassFed to preserve dog owners' rights. She is an AKC CGC Evaluator and has been judging AKC Rally Obedience since its inception. Grace has been training dogs professionally since 2000. She has trained and competed with her dogs in agility, tracking, rally and obedience. She also enjoys using clicker training to train tricks, teach new behaviors and fine tune existing behaviors. Grace has achieved many titles including both multiple MACHs (AKC Master Agility Champion) and ADCHs (USDAA Agility Dog Championship) in agility. She has qualified for AKC & USDAA Nationals numerous times with multiple dogs. At the 2011 AKC National Agility Championship in Lexington, VA she and her Golden Retriever Zer finished 2nd in the 24" height class. Zer again made the finals in the 2014 Nationals in Harrisburg, PA and the Challengers round in 2017 in Perry, GA. Grace's other Golden, Punk, attended International Team Tryouts in May of 2014, World Team Tryouts in May of 2017 and EO Tryouts in December of 2017. Punk made Steeplechase finals at Cynosports 2017 along with Westminster finals in 2017. Grace is interested in helping each dog work to their potential and each dog and handler team work as a cohesive unit with both members having a great time. Karen has trained and exhibited her own dogs in agility, obedience, musical freestyle, and conformation. She is the leader of Middlesex County Canine 4H Dog Club, a member of the World Canine Freestyle Organization and the Unleashed Dance Company. Karen became interested in canine musical freestyle when her daughter pointed out that freestyle looked exciting. She set out to learn everything she could about the sport and began taking classes and seminars. 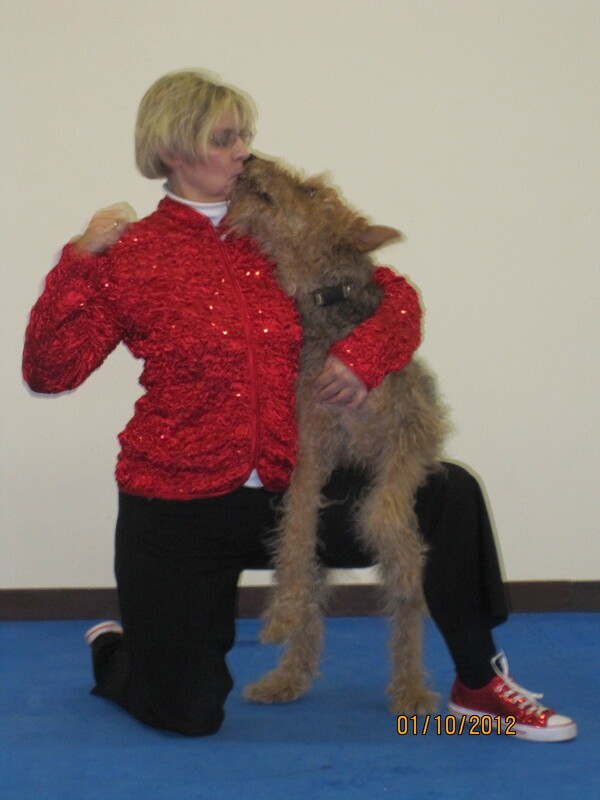 It was not long before Karen and her Airedale Terrier Tansy began performing in demonstrations and competing. Karen and Tansy have earned their Beginner Musical Freestyle title. She enjoys using clicker training to teach and fine tune the tricks and behaviors that she uses in her freestyle routines. Karen especially enjoys combining music, costume, heelwork and tricks into fun and entertaining freestyle routines. Karen wants to share the joy of canine musical freestyle with her students and their canine partners. 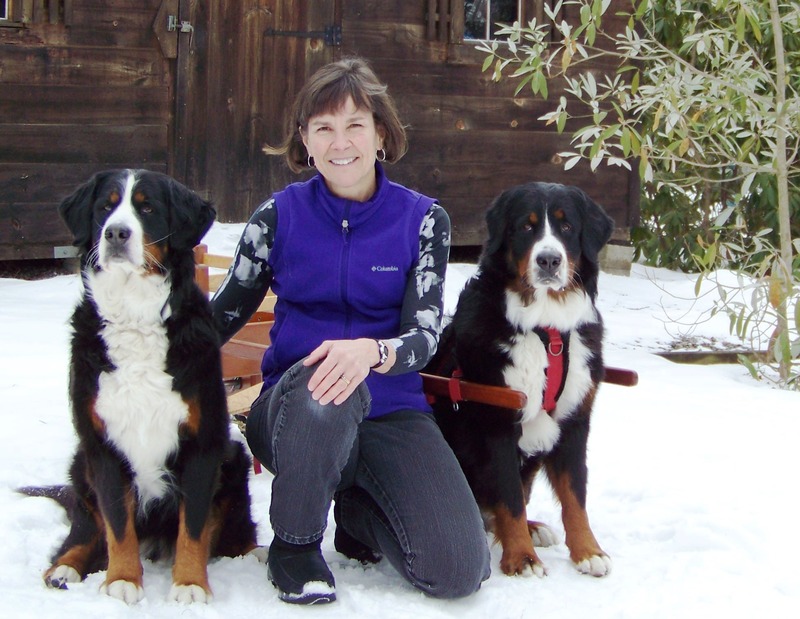 Beth's love of dog training and competing began in 1991 when she and her husband acquired their first Bernese Mountain Dog, Poppy. Despite being complete rookies at dog training, Poppy showed them that dogs are capable of great things with the right guidance, love, lots of patience, and of course, good cookies. Poppy earned advanced titles in obedience, tracking and drafting and was among the first handful of Berners to receive the National Breed Club's 'Working Dog Excellent' award. Twenty-some years and 5 Berners later, Beth is still actively competing in obedience, rally, agility, conformation and draft. She is also involved in Bernese Rescue and occasionally takes in foster dogs to help them polish up their manners for their forever homes. Beth strives to help handlers and their dogs 'learn together' through motivational and fun training methods. 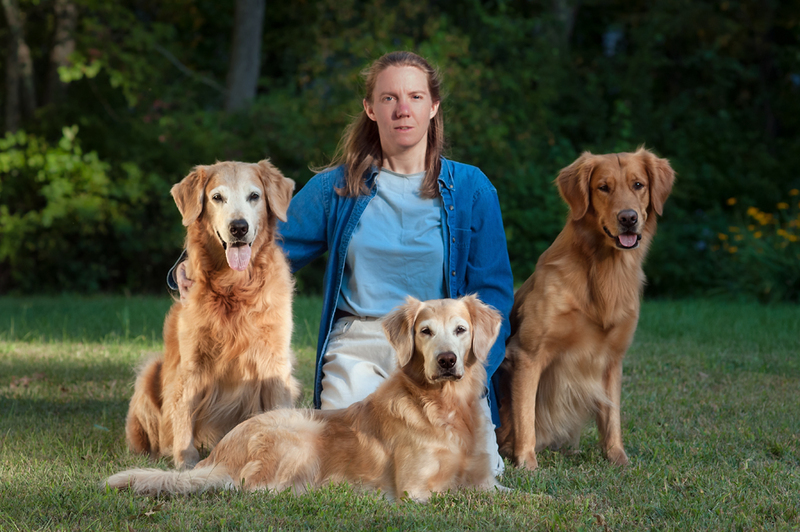 Karen began teaching clicker based dog training classes in 1998 and continued teaching for 10 years before taking some time off to run her own business. Karen started competing in agility in April 2001 and since then has competed with 5 different of her Golden Retrievers in both AKC and USDAA. She has earned many agility titles including both a MACH (AKC Master Agility Champion) and ADCH (USDAA Agility Dog Championship) in agility on several of her dogs. Beyond agility, Karen has also titled dogs in obedience, rally, hunt tests, and even dock diving. Karen has qualified and competed at the AKC National Agility Championship several different years with three of her Golden Retrievers. She and her Golden Retriever, Nikon earned of the 2008 Excellence in Agility Trophy at the GRCA National Specialty. Then at the 2011 AKC National Agility Championship in Lexington, VA she and Nikon were 9th after three clean rounds, just missing the cutoff to compete in the finals. She welcomes this new change in direction and is excited to be back assisting clients in achieving the best their team can be. 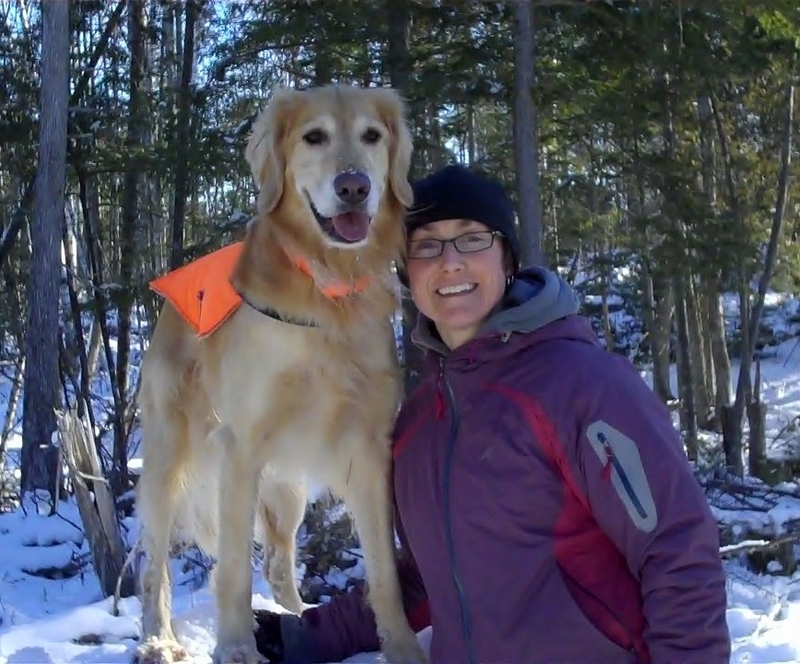 Noelle discovered positive training as a teenager in the 1970s while attempting to train Amy, her bouncy, distractible 6-month old Labrador Retriever. She was making very little progress when a family friend suggested she read an article that proposed using food as a training reward. She still remembers the joy she felt when Amy finally figured out what “Sit” meant. Equally important – training was fun for both of them. All it took was cheese, consistency, and a hungry pup. Noelle now competes in both obedience and rally with Mikko, her second Standard Poodle. Mikko has both a CDX and a Rally Master title. He loves training and lets Noelle know when she’s getting too serious.